Take a moment to review a few of the most common reasons why people hate flossing. Then, learn more about the profoundly positive effects of proactive gum care on holistic health and well-being. We’re unaware of the benefits. Not everyone is aware of how healthy flossing is for the teeth, gums, and total body. Too often, flossing is simply viewed as an extra task that obsessively healthy people do. If you believe flossing is unnecessary, considered that gum disease has been linked with increase risk of heart disease, respiratory infection, and diabetes. We never developed the habit. If you are a parent, you undoubtedly know how difficult it can be to encourage children to develop healthy habits. Brushing and flossing are amongst the most challenging. If a child is not taught to floss after brushing from an early age, it is likely they will live most of their young adult and adult lives believing that just brushing is good enough. 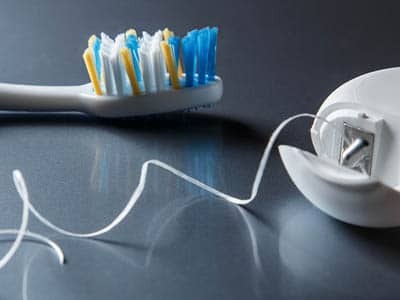 Whereas brushing your teeth can make them feel smoother and look whiter, flossing often lacks any kind of immediate reward that makes the activity seem worthwhile. As a result, the positive behavior (flossing) is not reinforced. Without reinforcement, there is no motivation to repeat the act in the future. People with unhealthy gums suffer negative feedback in the form of swollen, bloody, or agitated gums that cause pain and discomfort. Negative feedback is one of the biggest reasons children and adults avoid flossing, and it makes it difficult to get excited about adopting the habit. Unfortunately, this can lead to serious infection, gum disease, and a variety of other health conditions. For more information on gum disease and periodontitis, visit Perio.org.